win — a fleece cooler from weatherbeeta! February’s competition is now closed! Our next calendar competition opens on Monday 11 March. The versatile WeatherBeeta fleece cooler (standard neck) is ideal for traveling, cooling off or as an under-rug. This breathable and kickable fleece rug has an anti-pill finish and nylon overlay at the shoulder to help prevent rubbing or stretching. Available in navy/red/white in sizes 4ft - 7ft 3in. RRP £42.99. 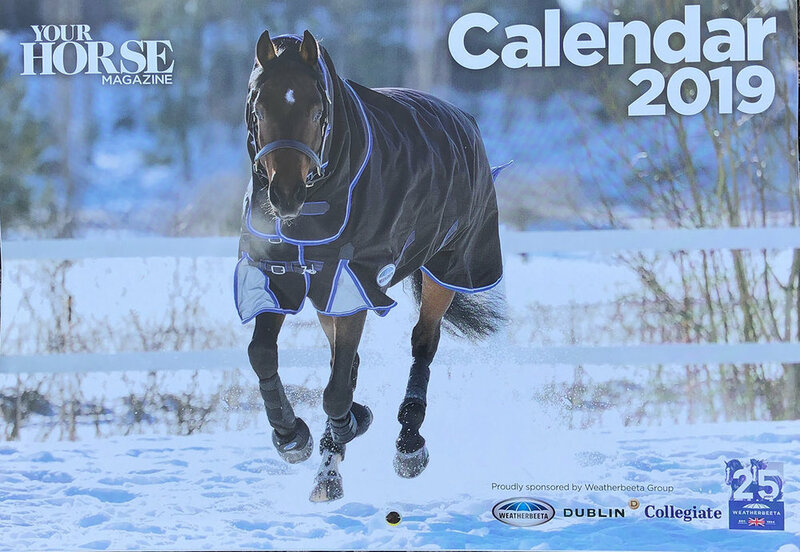 This competition was announced in Your Horse magazine/Weatherbeeta Group’s 2019 wall calendar, free with issue 446 of Your Horse. Haven’t got your copy yet? Order a back issue here.